Are You Asking These Important Questions Before Getting Married? In the early part of your relationship, it’s easy to assume the person you love has the same values and ideals as you. This stage of a relationship is often called the honeymoon stage, and for good reason. It’s a time when you see your partner through rose-tinted glasses. You unconsciously ignore their faults, flaws, and annoying idiosyncrasies. You just feel like you’re in the right relationship. When you fall in love, your brain produces hormones that flood your brain with dopamine, helping you feel euphoric and on top of the world. You can’t see the entire, complex picture of your partner in this early stage of your relationship. It’s only over time – anywhere between 6 to 18 months – the differences in your relationship will start to emerge. You might notice you have different opinions, you have your first argument, and you start to realise that your perfect partner is not so perfect. This is a healthy and natural process of relationship development. The problem is, if you’ve made assumptions about your partner based on what you know of him or her while you have been in the honeymoon stage of your relationship, it’s quite possible your assumptions are incorrect. As your relationship develops, it’s important for you to check out any assumptions you’re making about your partner’s ideals and values. These conversations are valuable in helping you truly understand who your partner is, whether you’re in a straight or gay relationship. If you don’t take the time to get to know your partner intimately before committing to marriage, this can cause lots of problems in the future . Of course, it’s valuable to ask each other the really big questions such as, “do you want kids?” or “what faith do we want for our children?” However, it takes some time for you to truly know each other and get the answers to all the little questions you never even thought of. In fact, getting to know your partner is a lifelong process that never stops. Couples that rush into marriage often run into problems because they haven’t taken the time to get to know each other on a deep level and they are then shocked to find out their partner has some very different beliefs and values. Which pre-marriage questions are dealbreakers? Some questions are so important that if you disagree, it can be a dealbreaker for one or both partners. The question, “do you want kids?” is often an example of one of the big questions that can be a deal breaker for some people. However, just because your partner disagrees on one of these big questions, it doesn’t mean the relationship has to end. I’ve worked with many couples over the years where one partner was initially adamant that he or she didn’t want to have children, and then through our work together, and over time, they gradually changed their position to become open to the idea. Disagreements in a relationship are never the problem. Often the issue is how you and your partner are discussing, negotiating, and problem-solving the disagreements. When you can do this effectively, the disagreement becomes less important because you are both feeling heard, validated and understood. Pre-marriage counselling can be valuable for many couples because it can help each partner understand more about the history, values, beliefs, and future aspirations of their partner. Pre-marriage counselling can also help you develop the tools and skills to communicate effectively and resolve conflict. This, in turn, helps you build a stronger and more resilient marriage. Are you looking for pre-marriage counselling? 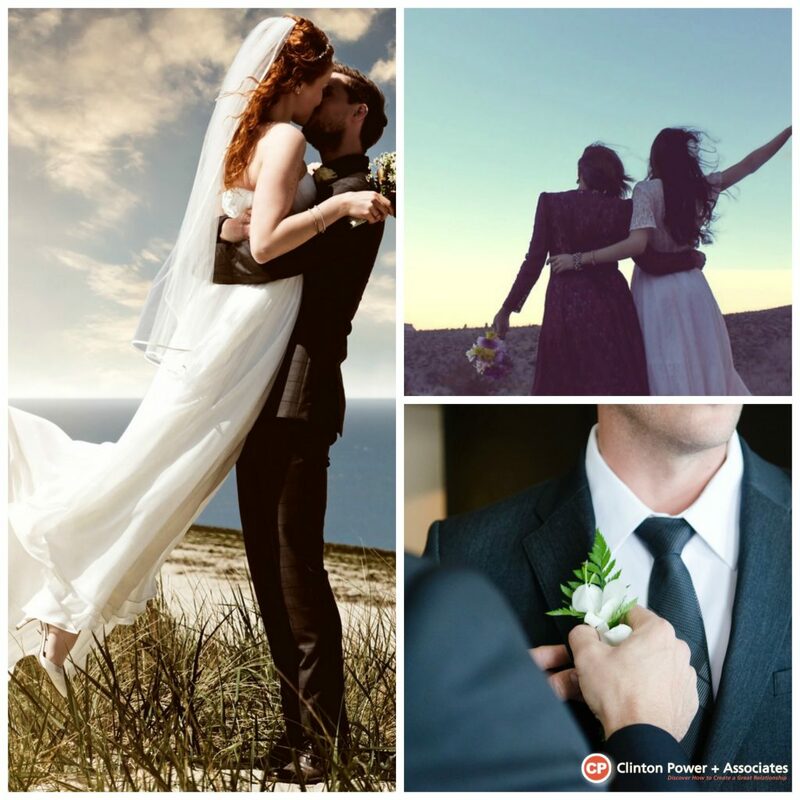 If you’re about to get married or are interested in pre-marriage counselling, contact Clinton Power + Associates for a FREE 15-minute phone inquiry call to discuss your situation and find out how we can help. Call us now on 0412 241 410 or go ahead and book our Prepare-Enrich Pre-marriage Counselling Program to get your marriage off to a strong start.